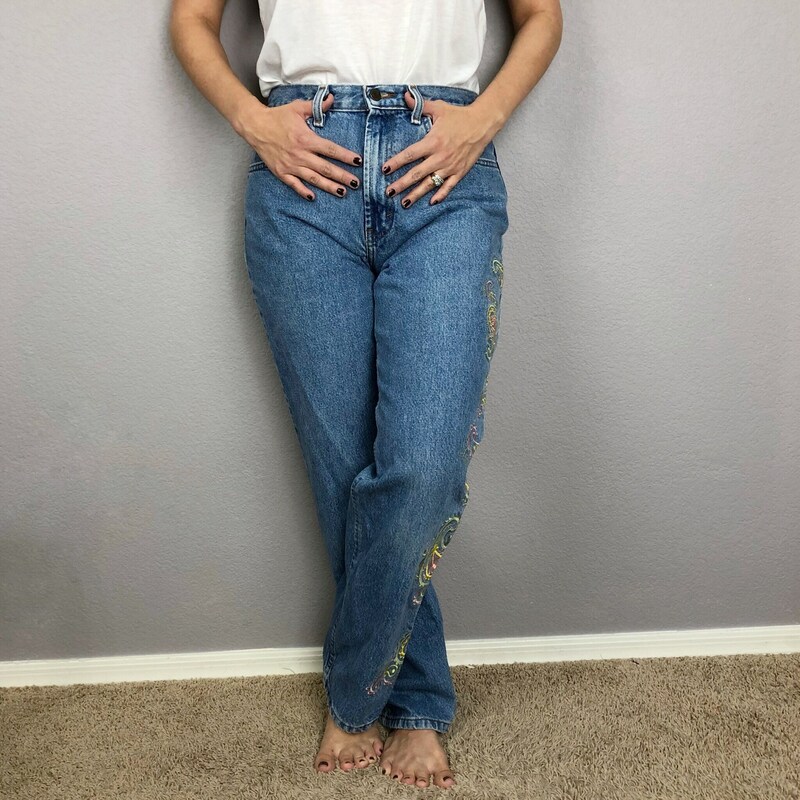 Super adorable embroidered high waisted mom jeans for sale from the 90’s. 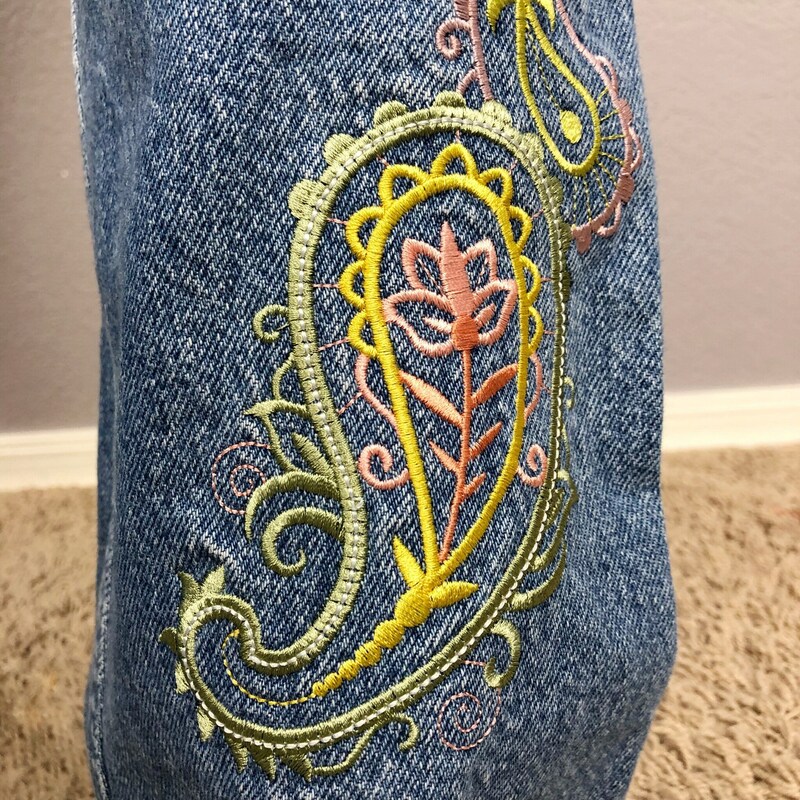 These are thick, light wash denim. 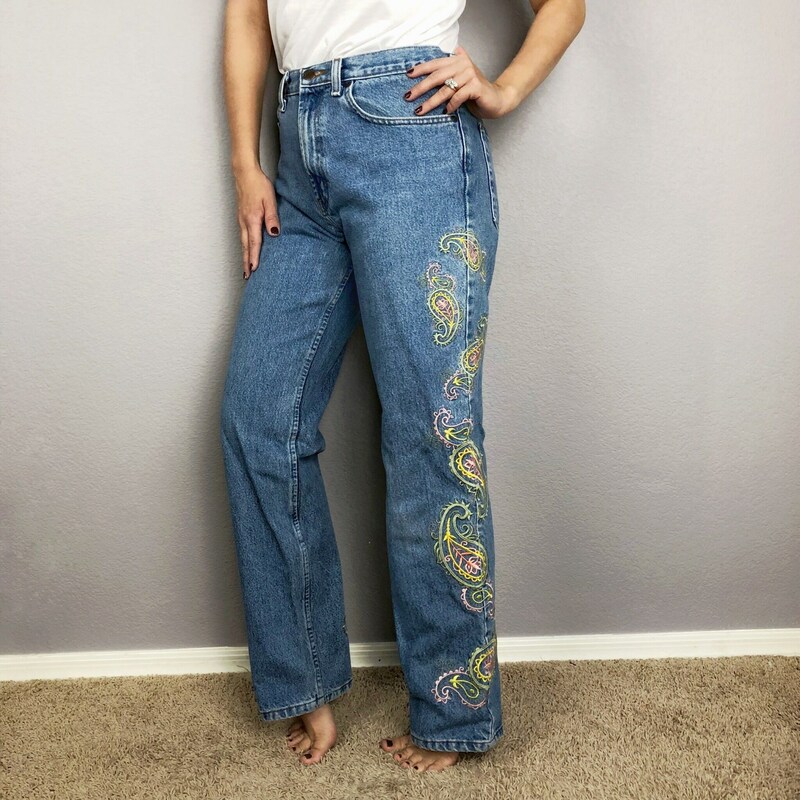 In true 90’s fashion these are not stretchy. 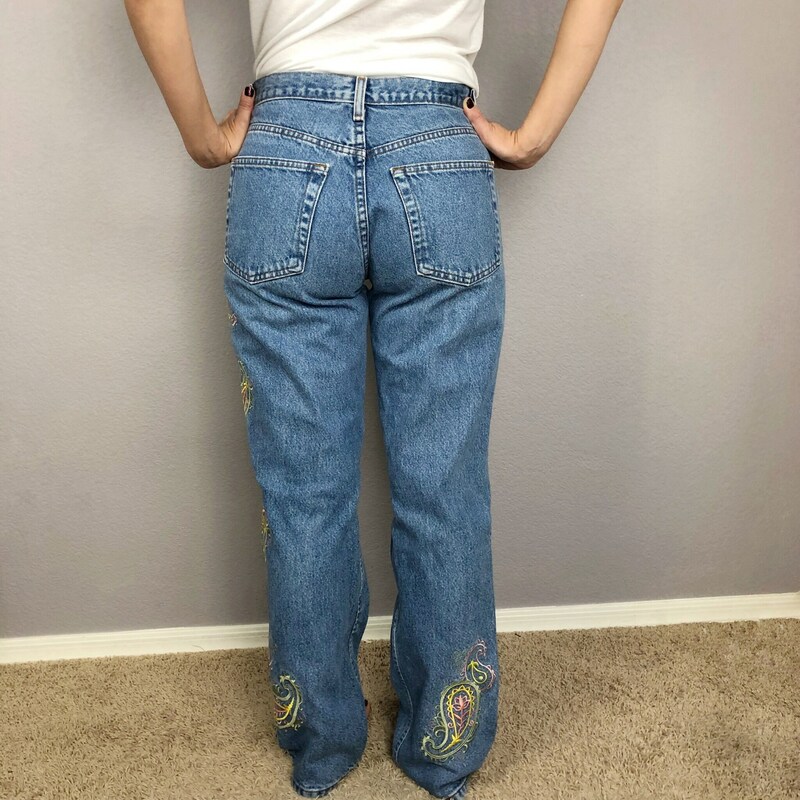 They do have a nice flattering fit though and the legs are bootcut. They are in excellent vintage condition. 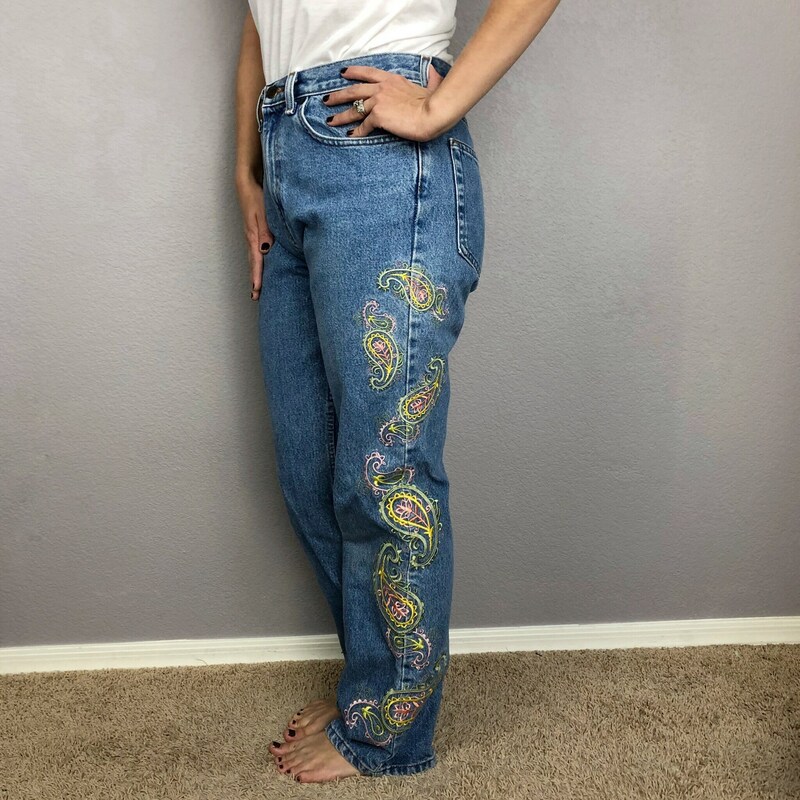 Size: no size tag, but they are a 30 inch waist with no stretch.